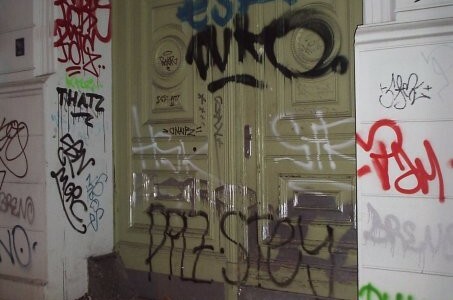 I found it so incredibly fascinating that this city has so much graffiti. It’s everywhere. What I found the most interesting is that it was not only the less fortunate areas that had spray-painted walls and doors, but also many of the more affluent building complexes – like above. Rich or poor, it is part of this city’s make-up. You’ll find pop-art everywhere, on the sides of buildings and especially on the Berlin wall of course. 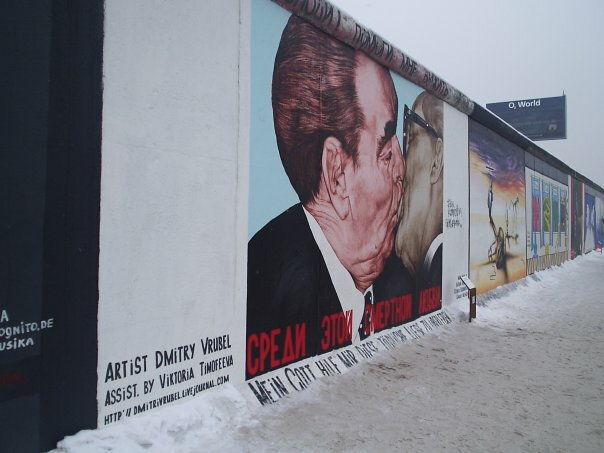 This is my favourite piece of Berlin art, the above mural of Soviet Premier Leonid Brezhnev and East German President Erich Honecker lip-locked. Known to be one of Europe’s cheapest cities, Berlin offers amazing food. 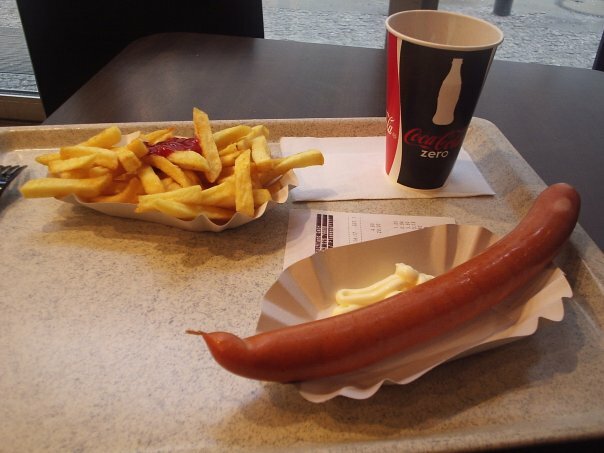 Especially any kind of wurst, like curry or bratwurst. At many restaurants you can have dinner for about 6 euros (that includes a beverage), which cannot be said of many other European destinations. I just loved this. I went in search of Hitler’s bunker, thinking it would be a fascinating visit. What I found was much less impressive, yet quite funny. 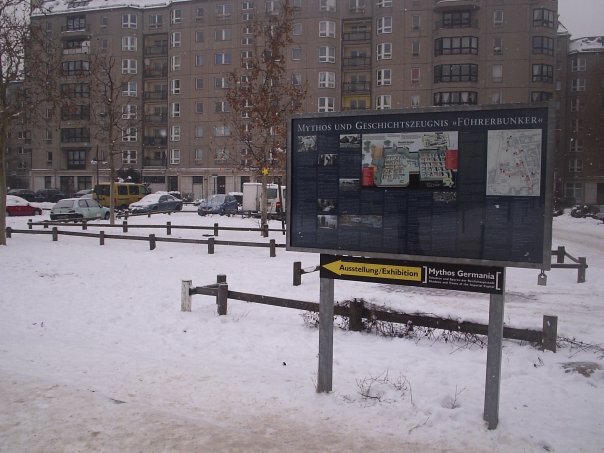 The fuhrer’s bunker was now a parking lot. 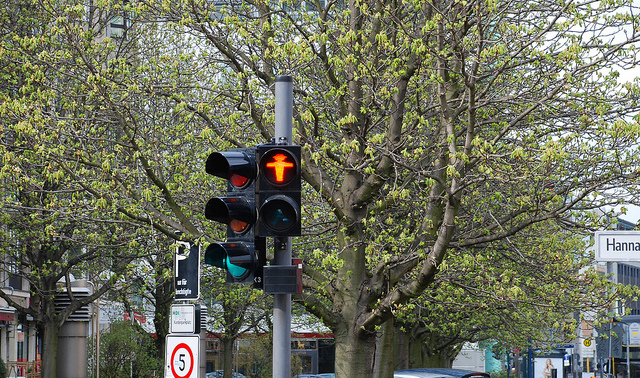 If you’re walking in Berlin, you can’t help but notice the delightful traffic light men, or as they call it, ampelmann. 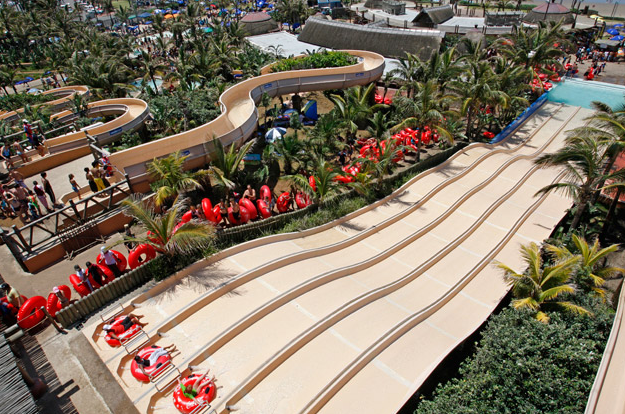 Its design was psychologically conceived, because road-users apparently react more quickly to appealing symbols. Very cool.